17 Nisan 2019 Çarşamba 18:00 - 3 reads. Mission to Mars in the Gobi desert: In the simulation base to explore, visitors in space suits, how the life on the Red planet could feel. In the buildings and apartments are housed. 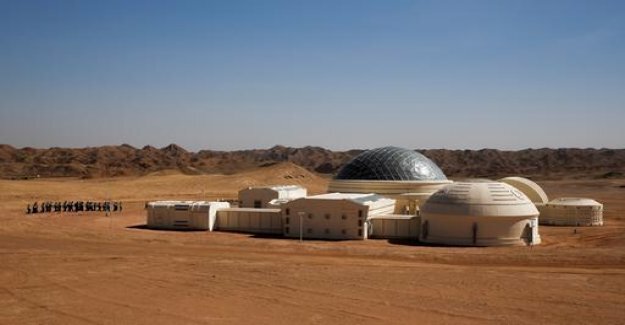 In the Gobi desert in China can be used to simulate visitors in a Mission to Mars: In the reddish rock surrounded by the "Mars base 1" in the North-Western province of Gansu moved to the first guests. You can learn how life on the Red planet could feel. The space station, but not to researchers and future Mars astronauts, but to groups of students and tourists. The futuristic white building, on which a silver perched-colored dome, the airlock consists of nine modules, including residential areas, a control room, a greenhouse, and air. In space suits, you can explore the surrounding area. The next city of Jinchang is about 40 km far.